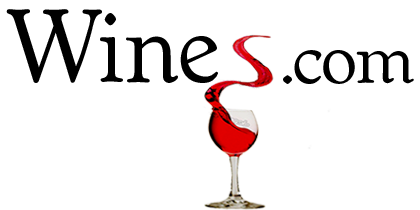 Pinot Noir is well known as a seductive, silky, food-friendly red wine that pairs easily and can be enjoyed on its own. Sometimes called the “winemaker’s wine,” Pinot Noir can be challenging to produce but beautiful and captivating when well made. The red grape of Burgundy, Pinot Noir is made in varying styles reflecting the terrior of the area in which it is grown. Pinot Noir is a red wine grape variety of the species Vitis vinifera, the official viticultural family of fine wines. The name derives from the French words for “pine” and “black” alluding to the varietals’ tightly clustered dark purple pine cone-shaped bunches of fruit. Pinot Noir grapes are grown around the world, mostly in the cooler regions, but the grape is chiefly associated with the Burgundy region of France. Pinot Noir is widely considered to produce some of the finest wines in the world, but is a difficult variety to cultivate and transform into wine. The tremendously broad range of bouquets, flavors, textures and impressions that Pinot Noir can produce sometimes confuses tasters. In broadest terms, Pinot Noir wine tends to be of light to medium body with an aroma reminiscent of black cherry, raspberry or currant. Traditional red Burgundy is famous for its fleshy, ‘farmyard’ aromas, but changing fashions and new easier-to-grow clones have favoured a lighter, fruitier style. 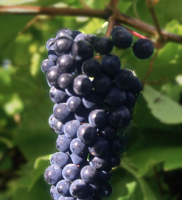 The Pinot Noir grape’s color when young, often compared to that of garnet, is generally much lighter than that of other red wines. However, an emerging style from California and New Zealand highlights a more powerful, fruit forward and darker wine that can approach syrah in depth. In this short video, Rob Moshein presents a brief but excellent overview of Pinot Noir and the chief Pinot Noir producing wine regions from Burgundy, France to the states of California, Oregon & Washington to South America. Pinot Noir is an amazingly food-friendly wine. It’s silky elegance, however, can be overwhelmed by strong food flavors and spices. It pairs very well with salmon, duck, lamb, pork, veal, chicken, turkey and mushrooms, especially in lighter, grilled or roasted dishes. 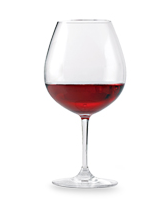 Lighter-bodied American Pinot Noir wines tend to be less expensive than full-bodied ones. Full-bodied Pinot Noirs pair well with beef, lamb and game, especially roasted or grilled. Avoid serving Pinot Noir with smoked fish, spicy dishes, sweet dishes, fruit and fruit-based dishes or sauces.